An international team of scientists, led by geneticists from Trinity College Dublin, have sequenced the genomes from ancient goat bones from areas in the Fertile Crescent where goats were first domesticated around 8,500 BC. They reveal a 10,000-year history of local farmer practices featuring genetic exchange both with the wild and among domesticated herds, and selection by early farmers. This genetic data – including 83 mitochondrial sequences and whole genome data from 51 goats – is published today by PhD Researcher in Genetics, Kevin Daly, and colleagues, in leading international journal Science. One of our first domesticates and a source of meat, milk and hides, goats now number almost a billion animals. They have been a partner animal since c. 8,500 BC. The earliest evidence for domestic goats occurs in the Fertile Crescent region of Southwest Asia, where crop farming and animal herding began. 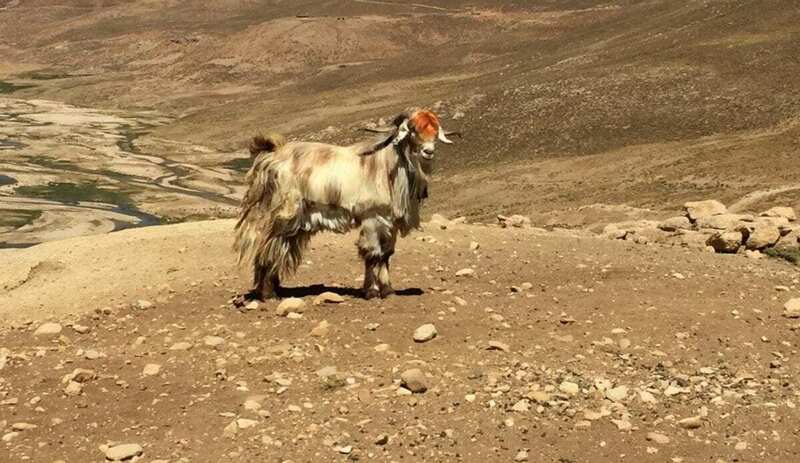 Before herding, local hunters targeted wild goats – also known as bezoar – and this local practice eventually became the basis of goat management and livestock keeping. However, reading the past from examining modern genetics is difficult due to thousands of years of migration and mixture. “Just like humans, modern goat ancestry is a tangled web of different ancestral strands. The only way to unravel these and reach reliably into the past is to sequence genomes from actual ancient animals; a kind of molecular time travel,” said Professor of Population Genetics and ERC Advanced Investigator at Trinity College Dublin, Dan Bradley, who led the project. Using genetic data from over 80 ancient wild and domestic goats, the group has charted the initial patterns of domestication, demonstrating a surprising degree of genetic differentiation between goats across the Fertile Crescent and the surrounding regions. Using ancient samples, the group was able to analyse the genetic diversity of different goat populations back in time and reconstruct the history of early domesticates. Domestic animals have changed human society and humans have also moulded livestock into hundreds of different types and breeds – this study has the earliest genetic discovery yet of this process. It seems that, like modern breeders, ancient farmers were interested in animal appearance. PhD Researcher at Trinity, and first author of the paper, Kevin Daly, said: “Whole genome sequences from the past allowed us directly analyse some of the earliest goat herds. We found evidence that at least as far back as 8,000 years ago herders were interested in or valued the coat colour of their animals, based on selection signals at pigmentation genes.” Furthermore, distinct but parallel patterns of this selection were observed in different early herds, suggesting this was a repeated phenomenon. There are also indications that these early animals had been selected for liver enzymes that gave better tolerance to new toxins, possibly from fungus growing on fodder, and also production traits such as fertility and size.